Nantucket’s bike shop for all of your vacation needs. Here at Cook’s Cycles Nantucket the have all of the latest bikes and accessories for your beach runs, brewery tours and beyond. Their selection of new Bikes in a convenient Downtown Nantucket location is great for a day of cycling. Great service, bicycle rentals, bike sales, surfing, fishing, beach gear and accessories on beautiful Nantucket Island. Visit their bike shop on Nantucket Island conveniently located on the bike path or let them bring the shop to you with free delivery! Located a mile outside of town, Island Bike Company is where the “locals” go. Island Bike offers the Nantucket community, both year round residents and summer visitors alike, all their biking needs. 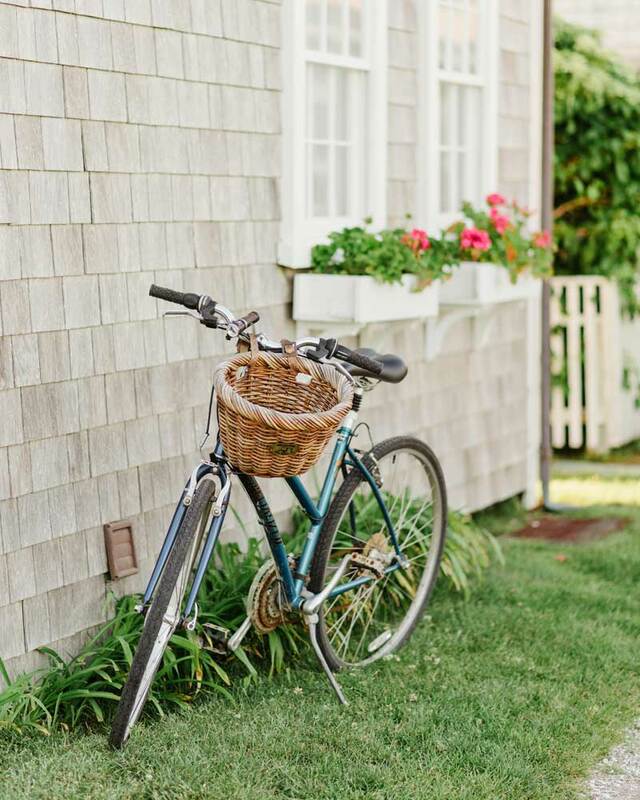 Explore Nantucket in full with a leisurely ride on your bike or scooter. Nantucket Bike Shop has given tourists and residents the best view of Nantucket since 1976 and continues to provide top-quality equipment and quick, courteous service to every visitor. You can witness the entire island in the fresh open air and enjoy the full, rich seaside panorama from the seat of your bike or scooter. While the island has changed a lot over the years, Young’s has continued to be part of the Nantucket community, proudly serving locals and visitors alike. You can still find us at 6 Broad Street renting bikes, and since 1979 we’ve been renting vehicles as well. If our custom-made Cannondale Young’s 8 bicycle isn’t your thing, we have affordable sedans and 4 door Jeep Wranglers complete with a convertible soft top and beach permits. Affordable Rentals has been Nantucket’s favorite car rental and Jeep rental for over 35 years. They are located in downtown Nantucket close to the Steamship Authority and Hyline Ferries. Whether you need a car rental for your business or vacation, Hertz has a wide range of luxury, sports, and hybrid rental cars available to meet every need. Save time with thousands of convenient car rental pick-up and drop-off locations. You’ll love our great rates, too. In fact, you’ve got our best car rental rate – guaranteed. Nantucket Island Rent-A-Car is Nantucket’s premier auto rental agency. They specialize in Jeep Wrangler Sahara 4x4s with 4 doors, SUV, Minivan, Compact, Midsize, Full Size and Mini Cooper car rentals. The Jeep Wrangler Sahara’s have both beach permits required for driving on all of Nantucket Town beaches and Great Point. Nantucket Windmill Auto Rentals has a great variety of new vehicles ranging from fuel-efficient 4-passenger convertibles, to 4×4 full-sized SUV’s with seating for 8 from reliable brands like Toyota & Jeep. They will even meet you at the boat or deliver the vehicle to your hotel or residence. The Wave provides island wide fixed route service during the summer months servicing Madaket, Sconset (along three different routes), Surfside and Jetties beaches, Nantucket Memorial Airport, downtown Nantucket and the Mid Island area. Date and times vary depending on the route. Young’s is the closest auto rental business to the ferry terminals. They offer competitive prices on fuel efficient sedans and 4 door Jeep Wranglers that are perfect for all your beach and golfing gear, not to mention the 4×4 trips to Great Point. If the size and stability of the boat is a priority, then look no further. The Absolute is the perfect boat to enjoy your day on the waters off of Nantucket. The boat is 40 feet, roomy and extremely stable. The Albacore is a 35-foot custom Sport Fisherman built by Cape Island Boats. A Duffy and Duffy hull powered by a 435hp Caterpillar Engine. The Albacore provides a comfortable ride in all types of sea conditions. There is a fully enclosed head (Bathroom) with running water with large cockpit and walk-in cabin that is divided by a set of curtains. Captain Josh Eldrigde is Nantucket’s only IGFA Certified Captain and a 5th generation Native Nantucketer. He has over 20 years experience fishing the waters of Nantucket, Florida and Central America. Josh is an active conservationist dedicated to protecting Nantucket’s essential fish habitats for generations to come. New to the water June 2001, The West Wind is a 57′ custom sportfisher built by Leonard Rigsbee in Morehead City. The West Wind has twin 735hp Detroit diesel engines with a cruising speed of 25 knots. Captain Olan West has been fishing for more than 20 years. He started building his own boat in 2000 and put her in the water summer of 2001. Come and enjoy a great day of fishing aboard the Starrfish, a custom built 35` Duffy and Duffy. Captain Jay and Lionel Starr will share there local knowledge of the rips and shoals that surround Nantucket for an enjoyable experience. With a combined 65 years of native experience they know where the fish are and how to catch them. Topspin specializes is inshore sport fishing in the waters surrounding the island of Nantucket where Captain Carl can find you Striped Bass, Fluke, Black Seabass, Bluefish and more. The 32 foot Judge can comfortably accommodate parties of up to 6 people. 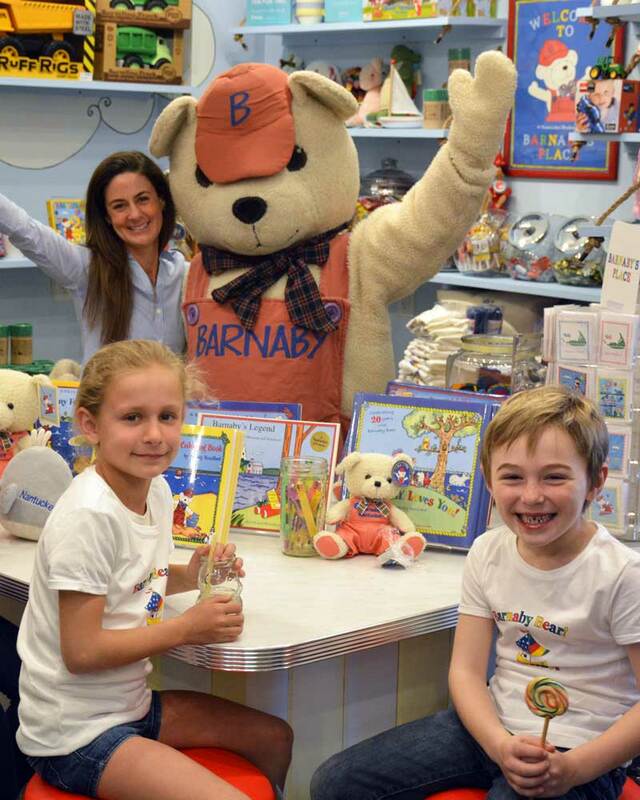 Visit the new kid’s café and Barnaby Bear store located inside Nantucket Bookworks at 25 Broad Street. A place for kids to meet, read, create, & eat! You’ll be Critter Cruisin’ on our 40ft Lindsay. She’s USCG certified to carry 21 passengers so there’s plenty of room and lots of seating inside the cabin and on deck. Fishy Advice Excursions enable you to enjoy your choice of relaxing cruises in the harbor, trips to remote beaches, seal viewing at Great Point or Muskeget Island, circumnavigate Nantucket, or even all day sightseeing or shopping at Edgartown or Vineyard Haven. Located on the shoreline of Nantucket Harbor, the Aquarium displays local Nantucket species and is an excellent place to learn about the amazing sealife around the island. Miacomet Golf Course continues to serve both the year-round and seasonal communities of Nantucket as a practice, golf, and meeting facility. With a fully functional putting green and driving range, both experienced golfers and beginners alike can perfect their game before hitting the links. The course is complete with four tee options, challenging holes, and scenic island views. The restaurant and beverage cart provide patrons with delicious food, cold drinks and great company. Public tee time available in season. At Nantucket Cycling and Fitness/CrossFit Nantucket we offer a no commitment option. You decide which package is right for you. The club features an outstanding selection of cardiovascular equipment, weight circuit equipment and free weights. In addition, an extensive choice of group exercise programming if offered including, Zumba®, Booty Barre®, R.I.P.P.E.D., TRX, Pilates, yoga and more. Jessica’s teaching style varies depending on the type of class, but all her instruction involves precise movements that promise to deliver freedom in all areas of the body. The Studio Method is designed to develop core strength, balance, flexibility and endurance by combining the best of barre, Pilates and high intensity interval training. On May 1st 2001, The Yoga Room opened its doors to the Nantucket Community as a year-round yoga studio. The classes, workshops and privates they offer incorporate an eclectic blend of many styles and traditions. Nantucket Community Sailing is an educational non-profit that provides affordable access to sailing and water sports to the public. NCS was nationally recognized by US Sailing in 2010 with the award for ‘Outstanding Seasonal Program’ and again in 2014 for ‘Outstanding Outreach and Inclusion. Nantucket Community Sailing offers a full range of private and group sailing programs and boat rentals for children and adults of all ages and ability levels at our Polpis Harbor, Jetties Sailing Center, and Children’s Beach Pier locations. Nantucket Island Surf School is the island’s premiere surf school. Since 1999 we’ve been teaching surfing at Cisco Beach on Nantucket to students of all ages and ability. The school offers private lessons and group lessons as well as week long mini camps for kids. They also offer standup (SUP) paddle boarding lessons. Sea Nantucket has one person and Two person Kayaks. They are able to accommodate your intimate party or large group. They also have a variety of Stand up Paddle Boards available. We offer a quick instruction or more in depth guided instruction to get you comfortable in no time. Paddle Nantucket offers SUP Yoga Lessons on the water, group paddle lessons, as well as paddle tours. Something for everyone to enjoy! For parasailing or any other behind the boat watersports on Nantucket this is the only place you need to be! We offer waterskiing, wakeboarding, kneeboarding, tubing, and parasailing. We do it all! Whether you are a beginner or an expert, we’ve got you covered. The Nantucket Maria Mitchell Association is a private non-profit organization located on the island of Nantucket, Massachusetts. The Maria Mitchell Association (MMA) was founded in 1902 to preserve the legacy of Nantucket native astronomer, naturalist, librarian, and, above all, educator, Maria Mitchell. The Nantucket Shipwreck & Lifesaving Museum features permanent and changing exhibitions that will fascinate both children and adults. Permanent exhibits are devoted to the history of Nantucket lifesaving; famous shipwrecks and rescues; life-saving equipment; the daily routine at a life-saving station; and the workings of the United States Coast Guard in modern day. The mission of the Nantucket Lightship Basket Museum is to promote the awareness and appreciation of lightship baskets and their makers, by educating and engaging the public about the complexity of this art form unique to Nantucket, and placing it within a broader context of related crafts. Taste Nantucket In Style. Visit Cisco Brewers and take a tour of the distillery. Enjoy some “sips + snakes” with Nantucket style food trucks! 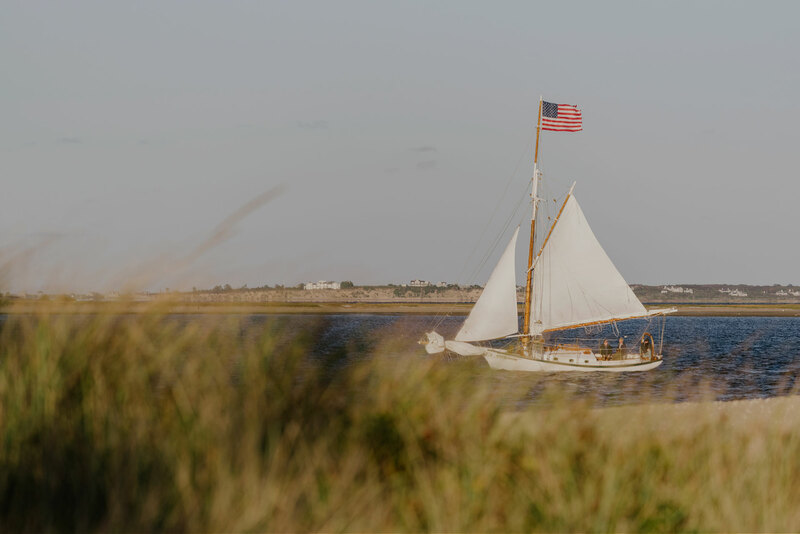 The Endeavor offers regular daily sailing cruises around the waters of Nantucket Island and is also available for private charters. Sailing excursions are offered from May through October. Tried and true, the team at Nantucket Bike Tours designed each adventure to feature classic and hard-to-find spots. Hop on our comfy bikes for an eco-friendly, interactive, unique way to see Nantucket! Visitors will learn about the rise and fall of the whaling industry and come to know how Nantucket’s historic downtown became a place where the past and present live side by side. During your Walks, you will hear about the rich history that created Nantucket Island and of the original the settlers that brought the Island to life. Raven’s Walk walking tours are a great adventure for the entire family. In search of fun + fresh places to sip, shop + stay on Nantucket? Our friend Holly at Nantucket blACKbook has you covered! Check out her website to find the best in restaurants, retail and real estate!